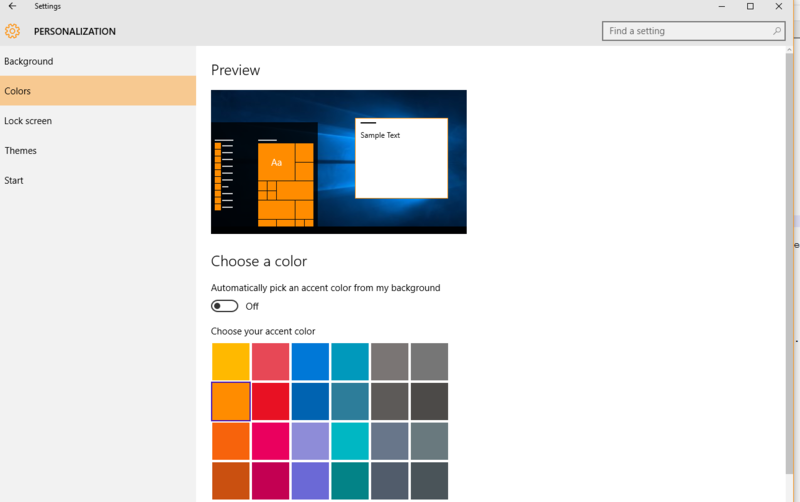 Since Windows 8 users can choose a system accent color. The color can be seen on the window borders of the default apps and it can be pretty easy be used inside a UWP App. How to get the accent color in WPF? 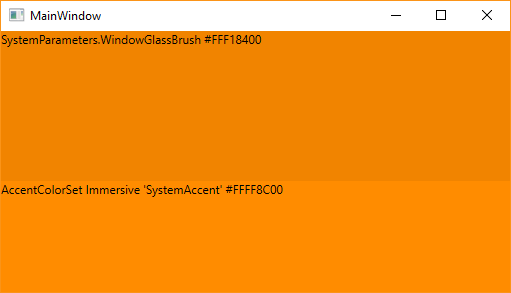 As far as I know there are several ways to get the color code, one easy but not 100% correct way is to use the SystemParameters.WindowGlassBrush property that was introduced in .NET 4.5. Sadly, the color is not 100% correct - I have no idea where this “similar”, but not identical color is used and why the API is returning this color. It seems this is just a wrapper around the undocumented DwmGetColorizationParameters Win32 API. I found this solution here, which is just a wrapper around the GetImmersiveColorFromColorSetEx Win32 API. The last option would be to read the Registry values - I found some hints on this site, but I wouldn’t recommend it, because it is more or less undocumented and might break in the future. So we will use option 1 or 2. From the comments: As Yves Goergen pointed out, the resulting color does not exactly match the border color, but it does match the system accent color, which is ok. I would guess that the border has some chrome behavior attached so that the color is slightly different.